The College of Traditional Chinese Medicine Practitioners and Acupuncturists of Ontario (CTCMPAO) accepts all HealthCMi acupuncture continuing education online courses for acupuncturists. This includes acupuncturists with both the R.Ac. and R.TCMP. certifications. 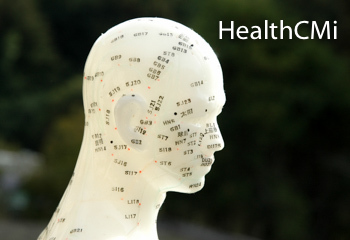 HealthCMi provides acupuncture continuing education courses in three main formats: ebook, prerecorded video, and live webinar. All are CTCMPAO compliant. Professional development guidelines for Ontario acupuncturists requires that acupuncturists complete 15 hours of professional development activities annually. A minimum of 10 hours must be category A courses but all 15 hours may be category A courses. Up to 5 hours may be category B courses. All online courses at HealthCMi are category A courses. All HealthCMi courses fit within these designations. As a result, CTCMPAO R.Ac. and R.TCMP. practitioners can take all 15 hours of continuing education online at HealthCMi. The CTCMPAO notes that workshops, seminars, webinars, online courses, and correspondence courses are accepted. HealthCMi provides a certificate of completion for each completed online course. Please retain your certificate for four years. HROMRA administrates funding for the CTCMPAO from the MOHLTC (Ministry of Health and Long-Term Care). The CTCMPAO establishes educational and examination requirements for acupuncturists under the authority of the Traditional Chinese Medicine Act, 2006.